Performed in the production for over 20 years, was named best act in Las Vegas and appeared on several television talk shows, and opened show for celebrities. Most recent appearance was in 2013 with our duo Gaucho act where Hayley was the first female gaucho performer to appear in the shows 30 year history. Hilario Master Gaucho starred in the production of Gypsy Moon in South Korea in the Sheraton Walker Hill Hotel Theater. The production was originated in Australia where Hilario made his debut as a wild gypsy Gaucho, captivating the Australian and Korean people. Hilario and Hayley toured California in the famous Circus Vargas big top tour for two seasons in 2011 and 2014. The circus was featured in "Water for Elephants" Hilario and Hayley displayed their talents in an Argentinian themed show. Their act was selected to travel to Manilla to represent Circus Vargas in their production on "Magikaria"
Hilario and Hayley are the creators of Master Gaucho Productions. They specialize in bringing entertainment to cruise ships and casino show rooms. 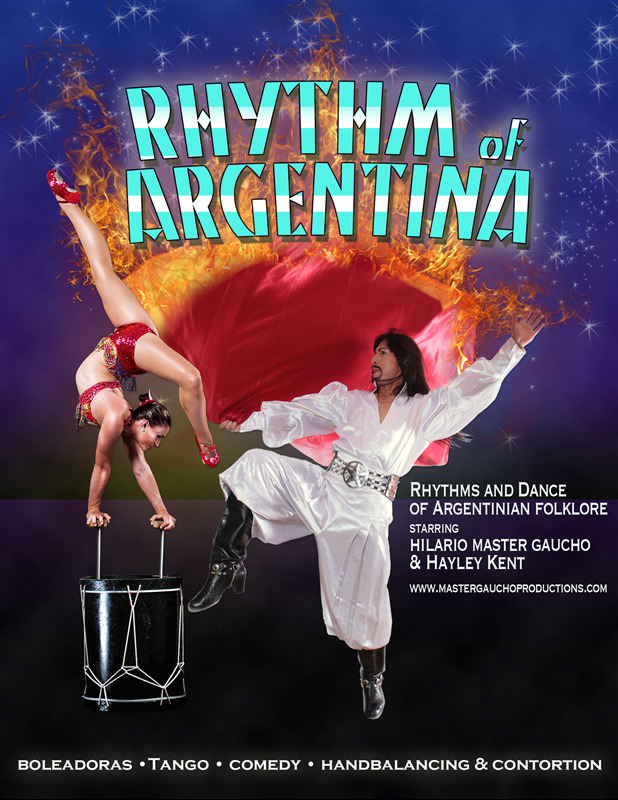 Hayley and Hilario presented their show "Rhythm of Argentina" in 2013 aboard ships for Holland America, Regent and Oceana cruise ships.